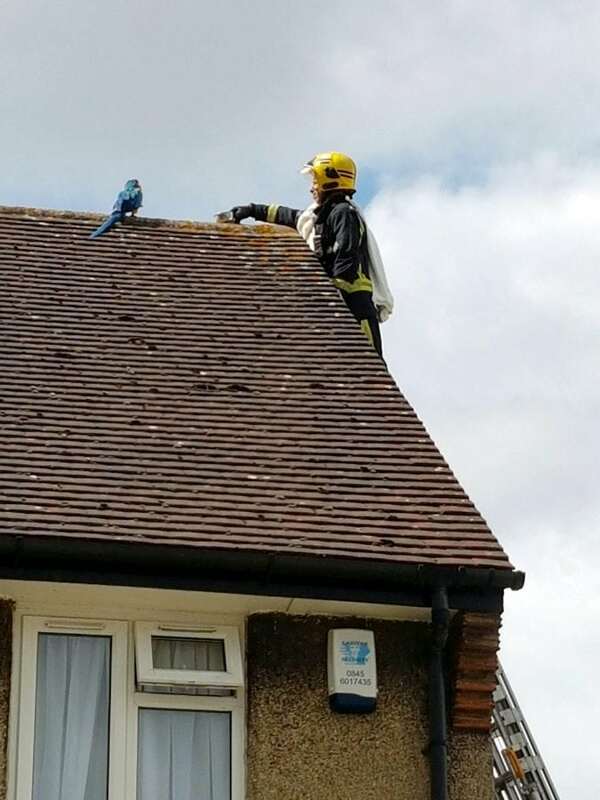 A parrot stuck on a roof for three days greeted firefighters sent to its aid with a four letter tirade. Jessie the multi-lingual Macaw flipped the bird after escaping from her owner’s home in Edmonton, north London. 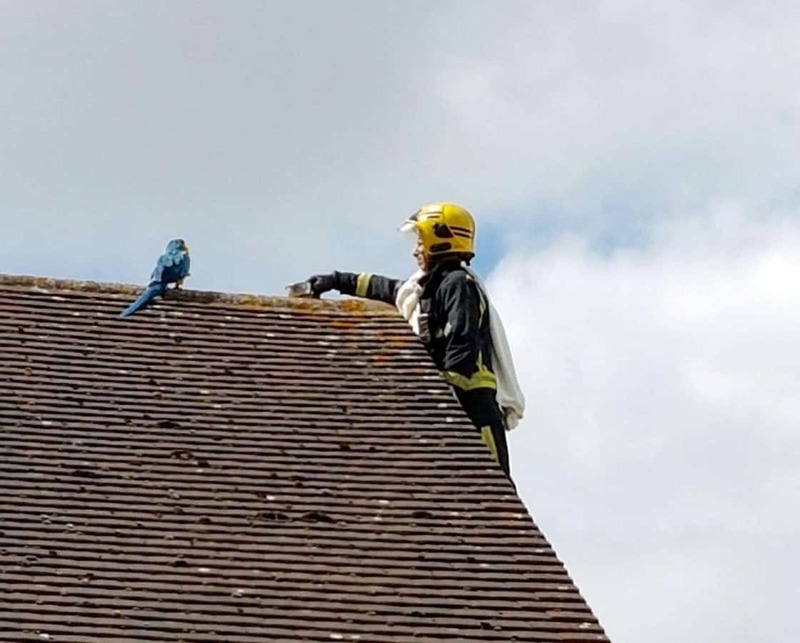 When she could not be lured down from a neighbour’s roof, firefighters were called out and told to tell the bird ‘I love you’ – to which Jessie replied ‘I love you back’. But she then ruffled her would-be rescuers’ feathers by telling them to ‘f*ck off’ before flying off to another nearby rooftop. The foul-mouthed pet also speaks Turkish and Greek according to its owner, but had its own choice words in English for the rescue team. 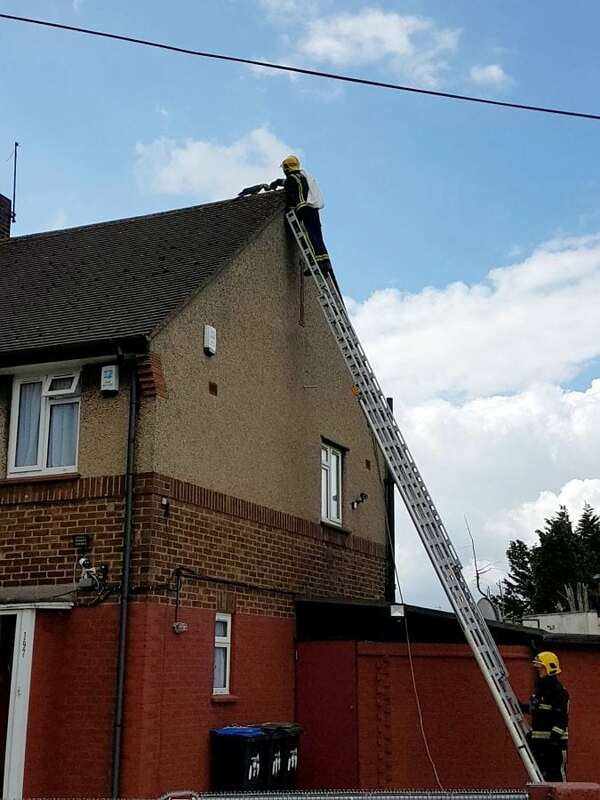 Watch Manager Chris Swallow said: “Jessie had been on the same roof for three days and there were concerns that she may be injured which is why she hadn’t come down. “Our crew manager was the willing volunteer who went up the ladder to try and bring Jessie down. “We were told that to bond with the parrot, you have to tell her ‘I love you’, which is exactly what the crew manager did. “While Jessie responded ‘I love you’ back, we then discovered that she had a bit of a foul mouth and kept swearing, much to our amusement. “Jessie also speaks Turkish and Greek, so we tried telling her to ‘come’ in both those languages too. As Jessie wasn’t injured, the firefighters, who had been called in by the RSPCA, left her on her perch. Why was the headline not something like “Blue parrot curses a blue streak” instead?